In this second post on the exposure triangle I will be covering shutter speed. Shutter speed is usually dictated by your other settings and is responsible for motion blur. Shutter speed operates the same with digital and film cameras so I will be making no distinction. Shutter speed is the amount of time that the shutter is open and allowing light to fall on the image sensor. It is measured in fractions of seconds for the majority of exposures and full seconds for longer exposures. Since your image sensor is absorbing light for the entire period of time that the shutter is open, it can cause your image to appear blurry due to the shaking of your hands. I find that about the slowest I can consistently take a picture without blur is around 1/60th of a second unless I’m using a tripod or some other kind stabilization. This is a bit of a soft rule because camera shake is magnified by your focal length so 1/60th of a second might not cut it if you’re using a long lens. There are several methods for reducing the amount of hand shake you introduce to your images aside from using a tripod. These include holding your camera with both hands (one on the lens if it’s longer) with the viewfinder firmly pressed against yourself and your arms close into your body, kneeling with an arm propped on your knee, resting your camera on another object, leaning against walls, and others. 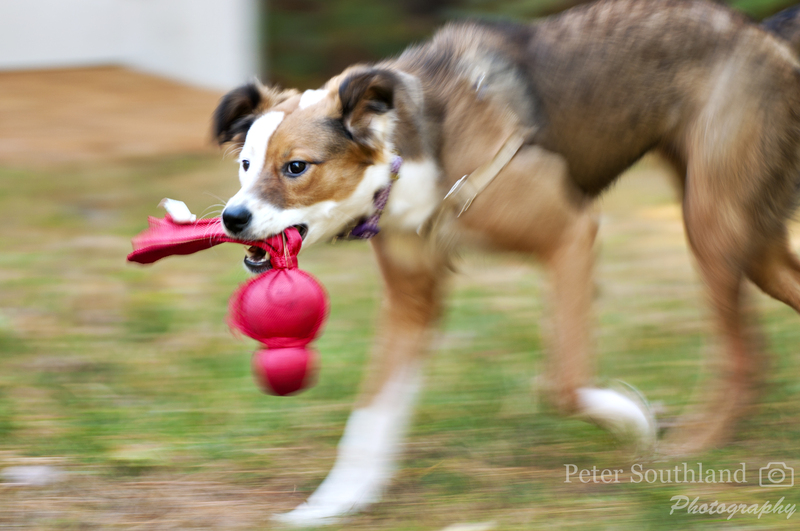 Depending on what kind of image you want to take, motion blur can be something you want to emphasize or try and reduce. If you take a very quick picture you can freeze frame the action highlighting one particular moment. By using a longer exposure you can create various photographic effects. With a long exposure, it’s possible to make water seem dreamy and soft, it’s also possible to convey motion, speed, or travel. Examples of a freeze frame, long exposure, and a shot with purposeful motion blur are shown below. The image on top was shot at 1/1600th of a second the the image on the bottom at 4 seconds. If you want to explore the use of shutter speed without going fully into manual mode, most cameras have an option called shutter speed priority which will allow you to set shutter speed and have your camera choose the appropriate aperture setting. My next blog post in this series will be covering aperture.